If you’re one of those people who can’t be woken with auditory alarms, vibrating wristbands and smart lamps, it might be time to consider a more drastic measure. 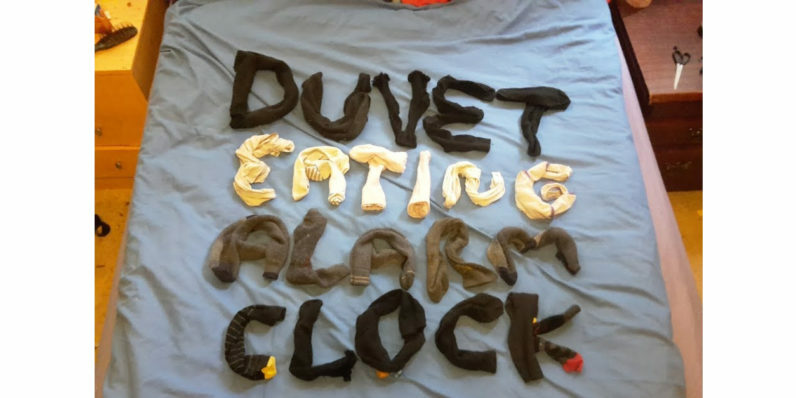 Behold the duvet eating alarm clock! With the combined power of a microcontroller, some bicycle cogs and spare bits of wood, this clever contraption cooked up by Bristol-based DIY master 1up Living will yank your duvet off your bed when it’s time to get up. Savage, but (likely) effective. It does take a fair bit of work, though, including sourcing a winch, bicycle parts and wood from around the web, and sawing MDF to build a barrel under your bed to actually pull the duvet. The electronics seem like they’ll be a cinch after all that. If you’re crazy enough to give this a try, check out the instructions on this page, and share your creations and ideas in the comments. Good luck, and good night!